Children are precious treasures in our church. Where there are children in Sabbath School and in Divine Service, the church seems to come alive — these curious eyes, heartfelt smiles, soft little hands, and running feet – all these signs tell us that this church will continue in years to come. Children in church are also our responsibility. All we say and do influences them. How can we best share God’s Word with them and teach them Christian values? On 18th November Clair Sanches-Schutte, the Children and Women Ministries Department Director of the TED, and Karen Holford, the Family Ministries Department Director of the TED, visited the Baltic Union to share their experiences and insight in the work with children, to make us think and discuss, and to teach us some important principles that can be used in Sabbath School lessons and beyond. 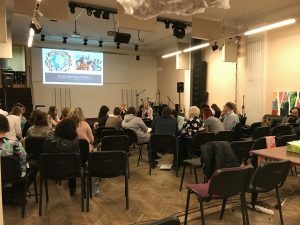 Karen Holford introduced the approach called Godly Play, which has proved to be the most effective way to nurture children’s faith. The participants of the training could experience what it is like to be present in such a lesson. The reverent way of telling the Bible story, the questions in the end, and freedom to use one’s creativity created a special atmosphere and made also adults go deeply into the story and meditate on the Word of God. 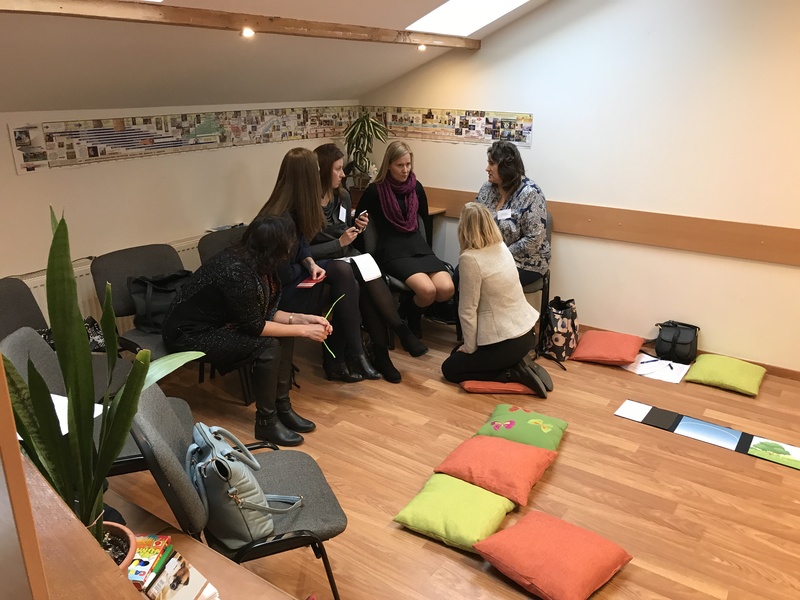 The participants found the method very useful and expressed their desire to learn more about it. Clair Sanches-Schutte introduced the first topic of the course for Sabbath School teachers — “Understanding Children”. 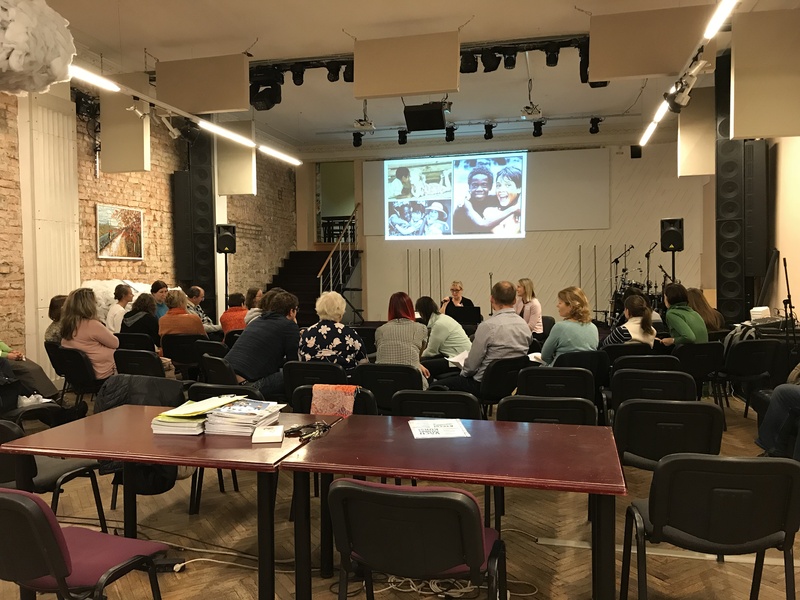 Many participants found the explanation of different ages and stages of childhood and faith development very useful and they are looking forward to the future topics. They liked also the opportunity to participate in several interesting discussions during the lecture. In her presentation, Clair Sanches-Schutte told us three parables of leading children to the heavenly Father and made us ask ourselves whether we stand between them and Father with our “I know better” attitude; or whether we hurry them to exhaustion with too much of everything; or whether we really teach them to know the Father, to trust Him and love Him. At the end of the event, we had also a little lottery (since Christmas is getting closer) to give away a Nativity set of knitted Bible characters that was brought to us by Karen Holford. The lucky winner was Rezekne church in Latvia. May God bless their children, and may these knitted dolls be used in the very best way to teach children about God’s love for them. 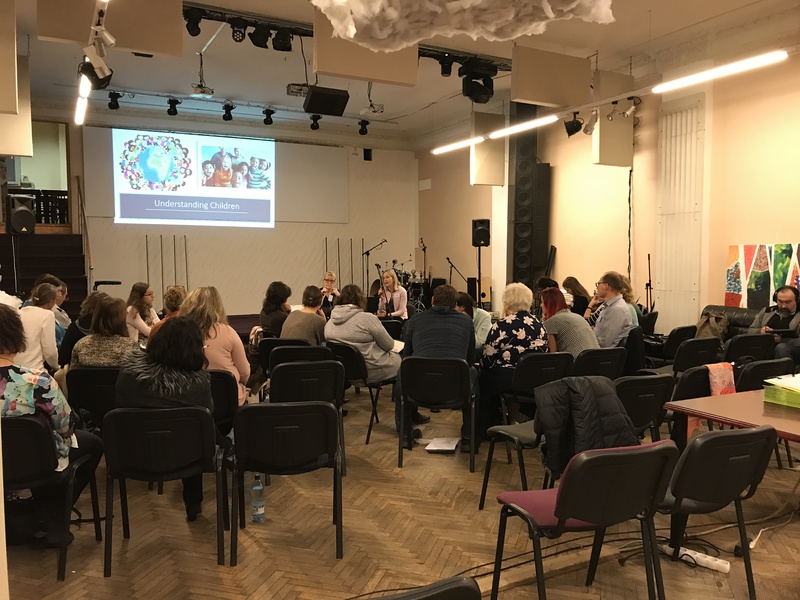 The event included more than 60 participants from all three countries of the Baltic Union thanks to the active Children’s Ministries leaders of our local conferences: Marite Lipska, Vilma Marušauskiene, and Allan Randlepp. Our Children’s Ministries leaders from all three Baltic countries. This entry was posted in BAUC, Children, Estonia, Latvia, Lithuania, News. Bookmark the permalink.